There are many tasks we do every day effortlessly that we don’t think twice about; getting things from the top shelf, pulling clothes from the bottom of the washer are just a very small portion of tasks we take for granted. 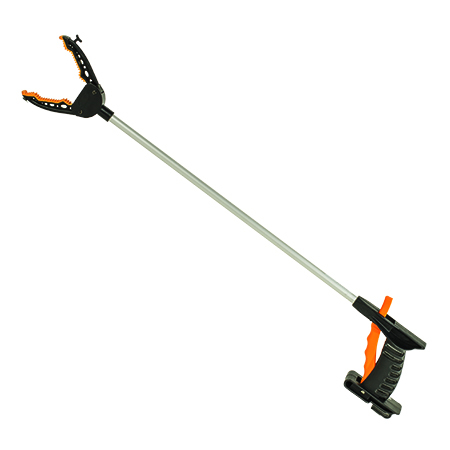 And for some, these can be difficult tasks that can end up unachievable or causing injury, so meet the reacher! Reachers help simplify many tasks that have become too difficult. 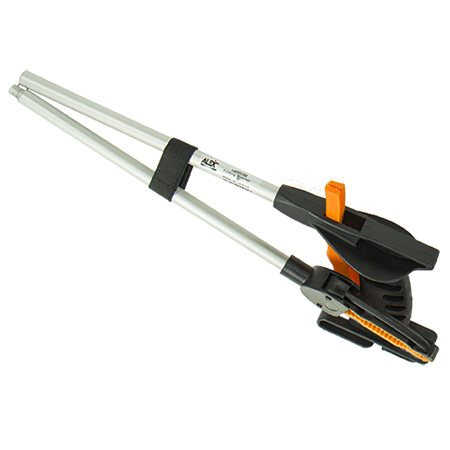 Made from lightweight anodized aluminum with a palm trigger will keep it easy to pick up items using one arm. Three inch prongs open to five inches wide to imitate a hands natural grip, that allows you grab many common household items. Alex carries two styles, check out the folding 26”, or 32” easy to store or carry with a long, and the non-folding 32”.